This salsa is easy and so zesty, it's like a fiesta in your mouth. 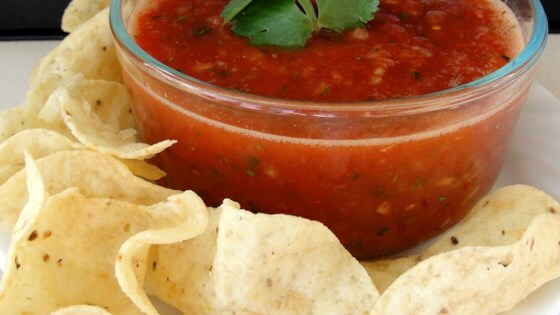 This is a quick and easy recipe for delicious salsa-the key is to blend the ingredients for a few seconds. Tastes even better the second day.